How about double-tracking the entire route, like here at Ellingson Road in Albany? The Oregon Passenger Rail Project is back in the news. It says the project team has done a preliminary evaluation of alternative passenger rail routes between Eugene and Portland. And it has announced a series of open houses in November to let people see and comment on the results. The Albany open house will be from 5 to 7 p.m. on Nov. 7 at Linn-Benton Community College. Others will be in Eugene, Salem, Oregon City and Portland. So far the team is not saying what its evaluation showed, according to Albany Mayor Sharon Konopa, a member of the leadership council of the project. A map of all the alternative routes looks like a spilled bowl of spaghetti. 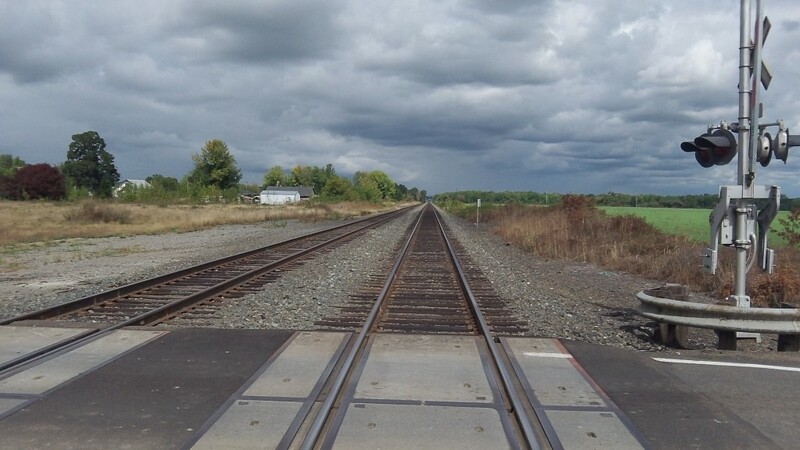 One proposal goes through Corvallis and from there along the existing rail line to Albany, which would have trains backing into or out of Albany Station or making part of the trip backwards. Not a likely prospect. A retired rail expert, who helped restart passenger rail in the Willamette Valley years ago, told me all this work on alternative routes could be avoided if the project expanded the existing rail corridor by double-tracking the entire length between Portland and Eugene. That would quadruple the line’s capacity to accommodate both freight and passenger trains.